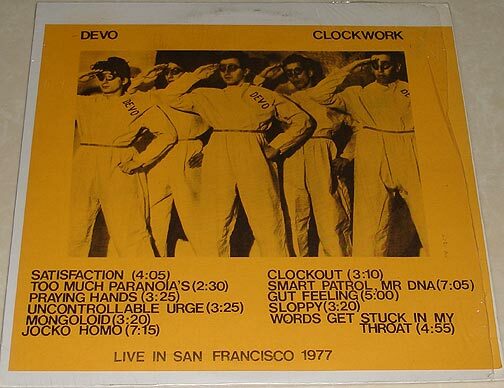 Bootleg recording of Devo live in San Francisco, CA. 1977. This version has a darker gold, bigger image on the cover.